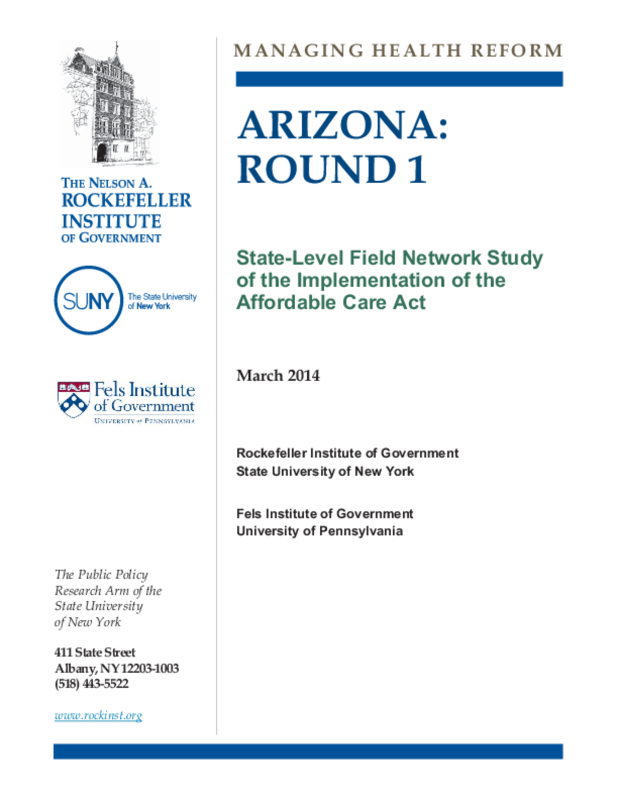 This report is part of a series of 21 state and regional studies examining the rollout of the ACA. The national network -- with 36 states and 61 researchers -- is led by the Rockefeller Institute of Government, the public policy research arm of the State University of New York, the Brookings Institution, and the Fels Institute of Government at the University of Pennsylvania. A number of decisions helped set the stage for Arizona's implementation of the Affordable Care Act (ACA). These decisions and the dynamics that led to them reflect a complex mix of intergovernmental political calculation and pragmatic public policy, past and present, which frame the state's capacity for implementing ACA in Arizona.